How can you tell who is the best green carpet cleaner in Warminster? First we must decide if being a “green cleaner” is important to our own spirit. 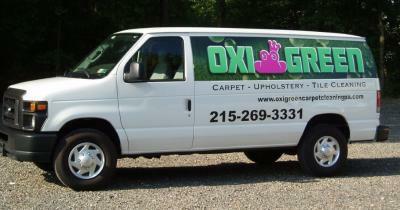 Does being “green” fit our minds eye even when considering carpet cleaning services? OxiGreen of Warminster is very proud of our “green status” but some people may not appreciate the true transformations. Cheap and severe elements are just fine with them. Being green is a significance that we adhere to. We will only use cleaning agents that won’t leave a lasting, harmful and damaging residue. These types of product are not good for anyone. Besides being overly hard for your environment, they can be hard on kids, the elderly, and pets. Really the people and things most important to you. We don’t understand why anyone would want to use cheap and harsh products, but maybe they don’t realize you can get a super deal even if better and loftier products are used to accomplish that fantastic look and feel. Something to also consider, how much green is the company you are considering actually? Do they use 20% green products but advertise as “green”. Oxi-Green is 100% green. Every client we help with carpet cleaning in Warminster is cleaned using 100% green product. Our super trained and expert employees know what they are doing and they are doing it with only helpful products. You can count on us to always come through for the environment, your family, pets and of course, your home. The benefits of using a green company like OxiGreen are so plentiful. We only use the finest of green products. They won’t leave a lasting deposit on your carpets, tile, and furniture. You will notice our products won’t leave that tacky feel and there won’t be those cleaning scents you might be used to. We use only the best for our customers.